But why bother with the overalls? 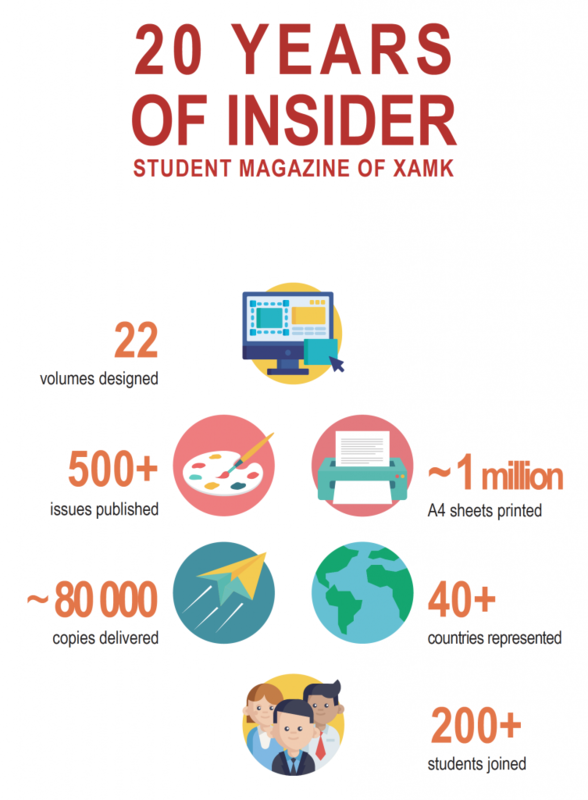 It is because they offer belonging to a group, and an avenue for creativity. 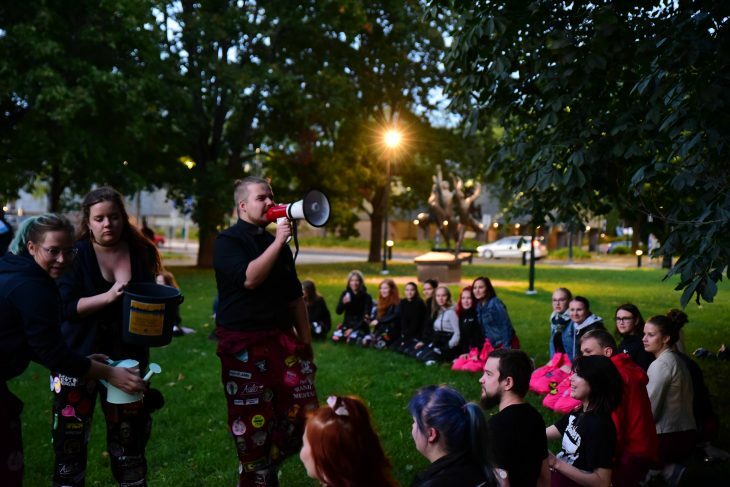 The group identity comes in the form of color: business students are given maroon overalls, design students are given black ones, and nurses are given pink. Note that when I say “given”, I do not mean for free. 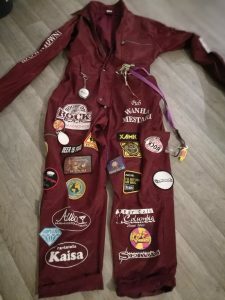 Paradoxically, while the color helps one to blend in, the badges on the overalls offer the chance to stand out. The badges can be collected at student parties or ordered online but once sewn to your overalls, they become a part of you. 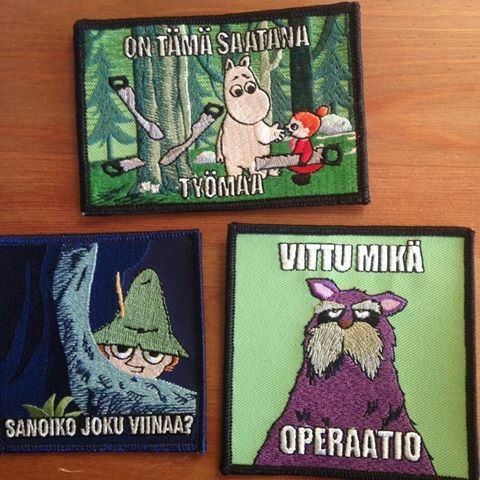 The badges often sport dark humor, because they represent how the Finns get through the long dark winter – by laughing at it. 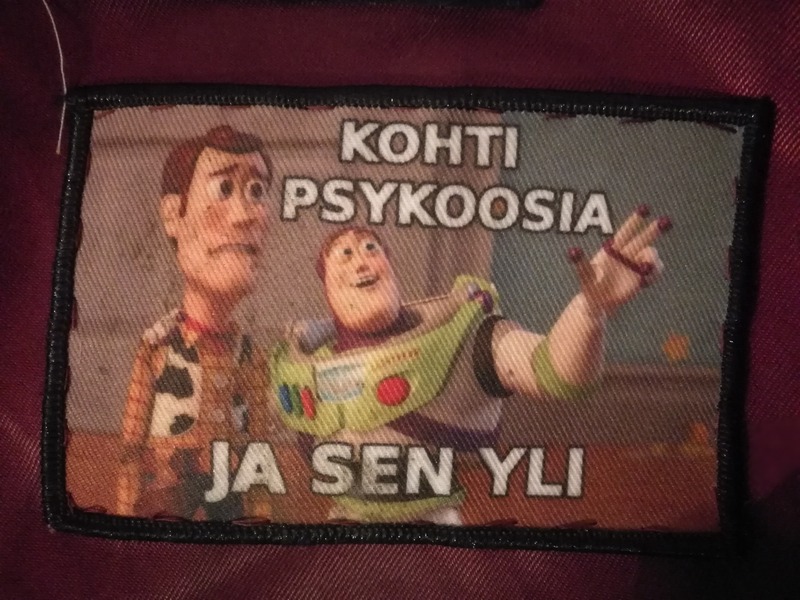 I’ve collected some of the favorite badges of some Finns and some from my own collection. On tämä saatana työmaa – a meme featuring a Moomin episode with an angry worker dubbed atop. Search for it on Youtube. 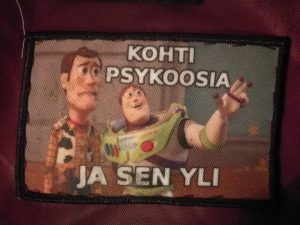 Sanoiko joku viinaa? – Did someone say booze? Vittu mikä operaatio – something you say when work is unbearable. Veli, auta – “Brother, help.” – that dramatic moment from the Lion King. Tortured artists club – picture of Van Gogh, just funny because it is relatable as an art student. 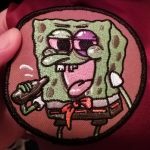 Drunken Spongebob – Needs no explanation. Halloween 2017 and The Amazing Race Freshman Party 2018 – Souvenirs from costume parties. 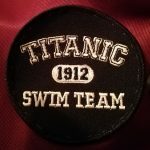 Titanic swim team 1912 – Not politically correct.